Do I have to pay for follow up visits? No. All of Dr. Sean Behnam’s follow up visits are complimentary. Will I have any swelling in my face after hair transplantation? 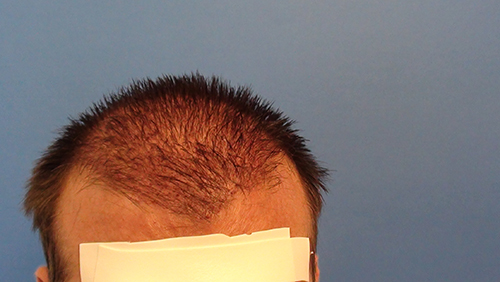 Dr. Sean has fine tuned the process of hair transplantation. He has modified the techniques to minimize swelling around the face after hair transplantation. Dr. Sean uses a special tape that prevents swelling from draining down around your eyes. 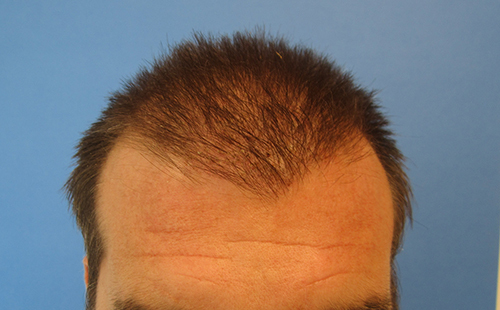 Below is a picture of a gentleman one day after a 2515 grafts hair transplant session. Please notice the tape on the forehead. This prevents the swelling from draining down to the eyes. Will I have any bruising after hair transplantation? Dr. Sean has fine tuned the techniques and process of hair transplantation such that very few people develop bruising. As demonstrated in the picture above, there is no bruising. Will I have scabbing around the grafts after the procedure? Dr. Sean has fine tuned the technique of hair transplantation as well as the maintenance of the grafts after hair transplantation such that very minimal scabbing will be present after the procedure. The above pictures are of the 8th day after the hair transplant procedure, when the scabbing should develop. As demonstrated there are minimal scabbing. When can I go back to work after the procedure? Most people, over 85%, go back to work on the second day after the procedure. Since Dr. Sean has fine tuned the procedure such that there are no bruising, scabbing or swelling, people can go to work much earlier than expected. How long will the redness after the procedure last for? 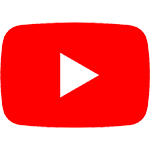 Redness associated with hair transplantation is an intrinsic healing property of your own body and it is hard to predict who long it will last. For 85% of the patients, this resolves within 7 to 14 days. Will I have to stop physical activity for a long time after the procedure? No. We recommended that you do not do treadmill exercise for one week after the procedure and no heavy weights for two weeks. When can I wash my scalp after hair transplant procedure? You may wash the scalp starting the following day. We teach you how you can wash your scalp and the washing techniques that will help get rid of scabbing easily. 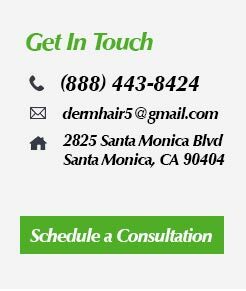 Call (310) 315-4989 for more information regarding hair transplant after care.